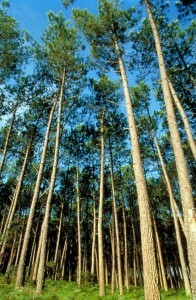 Pycnogenol is an extract, mainly of water, from French Pine Bark. Pycnogenol, or Pycnogeceine, is an easily absorbed antioxidant, has benefits in lowering blood pressure, and also has a promising look at helping AIDS patients. Pycnogenol is a wonderful antioxidant. It tackles some very highly reactive free radicals that can cause nasty mutations in the cells. Free radicals are molecules which the body produces as a result of certain bonds being broken. Free radicals bind with the nearest molecule and that molecule in turn becomes a free radical. When there is an over abundance of free radicals in the body, mutations or cell death may occur. Antioxidants prevent free radicals from binding with other molecules. Specifically, pycnogenol prevents the production of nitric oxide, a very potent free radical. Pycnogenol also inhibits superoxide and hydroxyl radicals. Not only that, but pycnogenol promotes the lives of cells that eat viruses and cancer. Pycnogenol also helps some people with their blood pressure. What it does is inhibit certain enzymes that cause the blood vessels in the body to constrict. It also minimizes the effects of adrenaline, which would be indicative of a stressed individual, so that the blood vessels relax. Pycnogenol also strengthens capillaries which bring everything the cell needs to survive to them. All this from a watery extract? Not too shabby.